Draft: 2011, Detroit Tigers, 2nd rd. Married: Jessica … has two children: Christian and Kane ... Twitter: @JamesMcCann34 … Instagram: @mccannon34 ... Attended the University of Arkansas, where he batted .306 (64-209) with 14 doubles, six home runs, 38 RBI and 11 stolen bases in 61 games as a junior in 2011 ... Was named a semifinalist for the Coleman Company-Johnny Bench Award, which is given annually to the top catcher in collegiate baseball ... Was drafted by the White Sox in the 31st round of the 2008 draft, but did not sign. Appeared in a career-high 118 games with Detroit ... Ranked second among American League catchers with 24 caught stealings and threw out 36.5 percent (24-71) of attempted basestealers, the fourth-best rate in the AL ... Compiled a season-high, 10-game hitting streak from 5/1-12, going 13-37 (.351) … hit his third career grand slam on 5/28 vs. the Angels (Tyler Skaggs) ... Matched a career-high with three runs scored on 8/13 vs. the White Sox (third time, last on 8/24/17 vs. the Yankees). Established single-season career highs in runs scored (39), home runs (13) and RBI (49) in 2017...Finished the season sixth in the American League with 18 catcher caught stealings and eighth with a 29.6 caught stealing percentage (min. 40 stolen base attempts)...Became the fiirst Tigers catcher in franchise history to hit three homers in the fiirst seven games of the season...Recorded his seventh home run and his 11th hit of the season on May 9 at Arizona -- became the fiirst American League player to have at least seven home runs in his fiirst 11 hits of a season since New York (AL)'s Alex Rodriguez in 2009 (also 7 HR in fiirst 11 hits)...the last Major League player to do so was Colorado's Trevor Story in 2016 (also 7 HR in fiirst 11 hits)...Sidelined from May 26-June 9 with a left hand laceration...Finished the month of July with a .396 (19x48) batting average, fiive doubles, two home runs and 11 RBI...ranked second in the American League with a .473 on-base percentage during the month and third with a .396 batting average...Posted a career-best, 14-game hitting streak from July 16-August 4...hit .412 (21x51) with six runs scored, fiive doubles, one home run and six RBI during the streak...Belted his second career grand slam and drove in a career-high five RBI on August 12 vs. Minnesota. Established single-season career highs with 12 home runs and 48 RBI in 2016... Ranked second in the American League with 25 catcher caught stealing, while he was fourth with a 45.0 caught stealing percentage (min. 20 stolen base attempts) - his 45.0 caught stealing percentage was the best by a Tigers catcher since Ivan Rodriguez had a 51.0 caught stealing percentage in 2006... Was one of three finalists for the American League Gold Glove as a catcher, finishing in second... Made the Tigers Opening Day roster for the second straight season... Sidelined from April 12-May 3 with a right ankle sprain... Began an injury rehabilitation assignment with Triple A Toledo on April 26 - appeared in six games and hit .091 (2x22) with two runs scored and two RBI... Belted his first home run of the season on May 21 vs. Tampa Bay...Committed the first error of his major league career on May 30 at Los Angeles (AL) - snapped his errorless streak at 139 games, which established a modern major league record for consecutive errorless games as a catcher to start a career...Collected his first three-hit game of the season on June 3 vs. Chicago (AL)... Hit the first grand slam of his major league career in the first inning on July 31 vs. Houston off of Dallas Keuchel… established a career-high with four RBI... Recorded the first four-hit game of his major league career on August 25 at Minnesota, going 4x5 with two runs scored, a double, a home run and three RBI... Posted a .201 (45x224) batting average against righthanded pitchers…hit .258 (31x120) vs. lefties... Hit .218 (37x170) at Comerica Park…batted .224 (39x174) on the road... Compiled a .208 (36x173) batting average with 14 runs scored, three doubles, one triple, five home runs and 23 RBI before the All-Star break…hit .234 (40x171) with 17 runs scored, six doubles, seven home runs and 25 RBI after the All-Star break. Finished his first full season with the Tigers in 2015, playing in 114 games. Selected the Tigers Rookie of the Year by the Detroit Sports Broadcasters Association. Named the Detroit Tigers 2015 Heart and Hustle Award winner by the Major League Baseball Players Alumni Association. Led all major league catchers with a 1.000 fielding percentage (777TC/0E) after not committing an error in 112 games -- became the sixth catcher in major league history to catch at least 100 games in a season and not commit an error, joining Charles Johnson (Florida, 1997), Chris Iannetta (Colorado, 2008), Mike Matheny (St. Louis, 2003), Buddy Rosar (Philadelphia, 1946) and Chris Snyder (Arizona, 2008). Established a Tigers rookie record for innings caught with 943.1 innings, surpassing the previous record of 880.0 innings, which was set by Frank House in 1954. Ranked tied for third in the American League with 24 catcher caught stealing, while he was ninth with a 40.6 caught stealing percentage. Finished the season fourth among AL rookies with 29 multi-hit games, while he was fifth with five triples, seventh with 106 hits, 155 total bases and 41 RBI and tied for seventh with 18 doubles. Drove in the first run of his major league career with a RBI single in the eighth inning on April 8 vs. Minnesota. Collected the first triple of his major league career on April 19 vs. Chicago White Sox. Recorded the first home run of his major league career with an inside-the-park home run on April 29 at Minnesota -- according to the Elias Sports Bureau, McCann became the first player to have his first career home run be an inside the parker since Nori Aoki with Milwaukee on April 20, 2012 and the first Tigers player to hit an inside-the-park home run for his first major league home run since Frank Lary on April 17, 1956. Hit the first walkoff home run of his major league career on May 21 vs. Houston -- according to the Elias Sports Bureau, McCann became the first major league player whose first two career home runs included both a walkoff and an insidethe-park homer since Tim Raines in 1981. Recorded his second walkoff home run of the season on June 28 vs. Chicago White Sox -- according to the Elias Sports Bureau, McCann became the first rookie in Tigers history to hit two walkoff homers in one season and the first rookie to do so for any team since the Angels' Mark Trumbo in 2011...two of McCann's first three career home runs were walkoff homers and according to STATS, LLC, McCann became the third player in major league history to accomplish the feat, joining Kirby Higby and Kevin Romine. Hit safely in a season-best eight straight games from June 28-July 17 -- hit .438 (14-for-32) with six runs scored, one double, one triple, two home runs and seven RBI during the streak. Finished the month of July hitting .356 (21-for-59) with six runs scored, three doubles, one triple, two home runs and nine RBI -- ranked 10th in the AL with a .356 batting average. Hit .320 (31-for-97) against lefthanded pitchers...batted .247 (75-for-304) with righthanders on the mound. Posted a .279 (56-for-201) batting average at Comerica Park...hit .250 (50-for-200) on the road. Hit .280 (54-for-193) with 17 runs scored, 11 doubles, three triples, four home runs and 21 RBIs before the All-Star break...hit .250 (52-for-208) with 15 runs scored, seven doubles, two triples, three home runs and 20 RBIs following the All-Star break. Appeared in nine games with the Tigers as he spent the majority of the 2014 season with Triple-A Toledo...Assigned to Toledo to begin the season...Collected a season-high four hits on April 13 versus Louisville -- equaled the high on May 13 versus Syracuse, June 8 at Scranton Wilkes-Barre and July 12 versus Pawtucket...Compiled a 13-game hitting streak July 25-August 10 -- batted .411 (23x56) with eight runs scored, nine doubles, two home runs and nine RBI during the streak...Batted .383 (31x81) with 11 runs scored, 14 doubles and 13 RBI in 21 games during July...Knocked a season-high five rBI on August 5 at Indianapolis...Hit .342 (41x120) with 13 runs scored, 16 doubles and 16 RBI against lefthanded pitching...batted .276 (82x297) with 36 runs scored, 18 doubles, seven home runs and 38 RBI with righties on the mound...Had his contract purchased by the Tigers from Toledo prior to the game on September 1 -- made his major league debut as a defensive replacement at catcher in the ninth inning that same night...Connected for his first major league hit with a single in the top of the fourth inning at Kansas City on September 19...Appeared in nine games for the Tigers in September, batting .250 (3x12) with two runs scored, a stolen base and one double. Spent the entire 2013 season with Double A Erie...Collected a season-high four hits on April 16 at Bowie...Compiled a season-best seven-game hitting streak April 14-20...Selected to participate in the Futures Game prior to the All-Star Game at Citi Field...Hit home runs in back-to-back days August 15-16...Named the Tigers Minor League Player of the Month for August after batting .299 (29x97) with 12 doubles, five home runs and 14 RBI in 25 games during the month...Named the best defensive catcher in the Tigers organization following the season by Baseball America. Assigned to Single A Lakeland to begin the 2012 season, before his contract was transferred to Double A Erie for theremainder of the season on June 6. ... Collected a season-high four hits on April 26 versus Dunedin -- matched the high with four hits for Erie on August 2 atNew Hampshire. ... Hit safely in his final nine games with Lakeland May 25-June 4, batting .424 (14x33) with three doubles and four RBI. ... Named the best defensive catcher in the Tigers organization following the season by Baseball America. ... Saw action in 14 games with Mesa in the Arizona Fall League following the season, batting .195 (8x41) with three RBI. Made his professional debut with the Gulf Coast League Tigers after being selected by Detroit in the second round ofthe June 2011 draft...Hit safely in four of his five games with the Gulf Coast League Tigers before his contract was transferred to Single AWest Michigan for the remainder of the season on August 20...Named the ninth-best prospect and best defensive catcher in the Tigers organization following the season by BaseballAmerica...Saw action with Team USA during the Pan American Games following the season. December 19, 2018 Chicago White Sox signed free agent C James McCann. 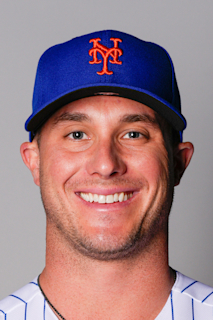 November 30, 2018 C James McCann elected free agency. June 9, 2017 Detroit Tigers activated C James McCann from the 10-day disabled list. June 6, 2017 Detroit Tigers sent C James McCann on a rehab assignment to Toledo Mud Hens. May 26, 2017 Detroit Tigers placed C James McCann on the 10-day disabled list. Left hand laceration. May 3, 2016 Detroit Tigers activated C James McCann from the 15-day disabled list. April 26, 2016 Detroit Tigers sent C James McCann on a rehab assignment to Toledo Mud Hens. October 13, 2014 Detroit Tigers activated C James McCann. October 2, 2014 Detroit Tigers reassigned C James McCann to the minor leagues. September 1, 2014 Detroit Tigers selected the contract of C James McCann from Toledo Mud Hens. March 29, 2014 C James McCann assigned to Toledo Mud Hens from Erie SeaWolves. January 9, 2014 Detroit Tigers invited non-roster C James McCann to spring training. October 18, 2013 C James McCann assigned to Leones del Escogido. July 16, 2013 Erie SeaWolves activated C James McCann from the temporarily inactive list. July 13, 2013 Erie SeaWolves placed C James McCann on the temporarily inactive list. January 16, 2013 Detroit Tigers invited non-roster C James McCann to spring training. June 6, 2012 C James McCann assigned to Erie SeaWolves from Lakeland Flying Tigers. April 2, 2012 James McCann assigned to Lakeland Flying Tigers from West Michigan Whitecaps. January 10, 2012 Detroit Tigers invited non-roster C James McCann to spring training. August 20, 2011 James McCann assigned to West Michigan Whitecaps from GCL Tigers. August 10, 2011 James McCann assigned to GCL Tigers. August 9, 2011 Detroit Tigers signed C James McCann.